Chilli Powder is a mix of chili pepper powder mixed with other spices such as cumin and garlic powder. Sometimes spices such as cinnamon or nutmeg is also added. For Paprika, eventhough it is mild, it has a distinct flavor. 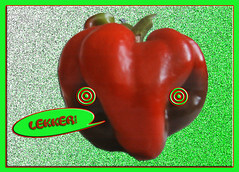 Paprikas are sweet or spicy depending on the different type, quality and grades of peppers used. In terms of heat, Paprika is the mildest, followed by Chilli Powder and finally Cayenne. However, chilli powder found in Asian countries such as Thailand or Indonesia can pack a punch if dried 'bird chillies' are used. Cayenne Powder possesses many health benefits that it was almost too good to be true. However, its reputation keeps growing among medical researchers as well as alternative health practitioners. It can kill cancer cells in prostate, lungs and pancreas. It can even immediately stop a heart attack within 30 seconds! Amazing, isn't it? What it does is to increase metabolism by immediately influencing the venous structure. As it feeds the vital elements into the cell structure of capillaries, veins, arteries. In doing so, it will affect the circulatory system and adjust the blood pressure to normal levels. It is also beneficial for the stomach an intestinal tract by stimulating the peristaltic motion of the intestines, it aids in assimilation and elimination of waste and harmful toxins. It warms the body when it is taken internally. Herbalist doctors uses it to help heal and rebuild flesh due to frostbites. Superb for rebuilding the tissue in the stomach, speed up healing in patients who have stomach and intestinal ulcers. Cayenne may help to regulate the flow of blood from the head to the feed. The immediate effects are, equalized blood pressure which in turn influences the heart and gradually extends its effects to the arteries, capillaries, and nerves. Cayenne may alleviate allergies, muscle cramps, improve digestion, energizing and aid in wound healing with minimum scarring. For sore throats(Gargle with a mix of half a teaspoon of Cayenne with honey and warm water. For spasmodic and irritating coughs. 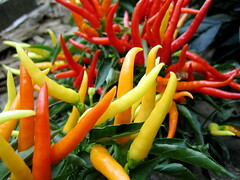 Cayenne is very effective in making hemorrhoids and varicose veins to regress. Eases toothaches and preserves the teeth from rotting. Stimulates the flow of saliva. As an ointment, it is used to relieve rheumatism and lumbago. For atonic gout, in paralysis, in dropsy, in tympanitis, and in the debilitated stages of fever. Try taking about one quarter of a teaspoon of cayenne pepper in a glass of warm water every day to reap the benefits on a long term basis. If you feel that the heat is too strong, lessen the dosage. Gradually increase the amount until your body gets accustom to it. Some people are allergic to capsicum that is found in all peppers. Usually, the most common allergic reaction to cayenne pepper is skin rashes. These include hives and contact eczema. My next topic for discussion is, 41) "List of Essential Oils for Skin".